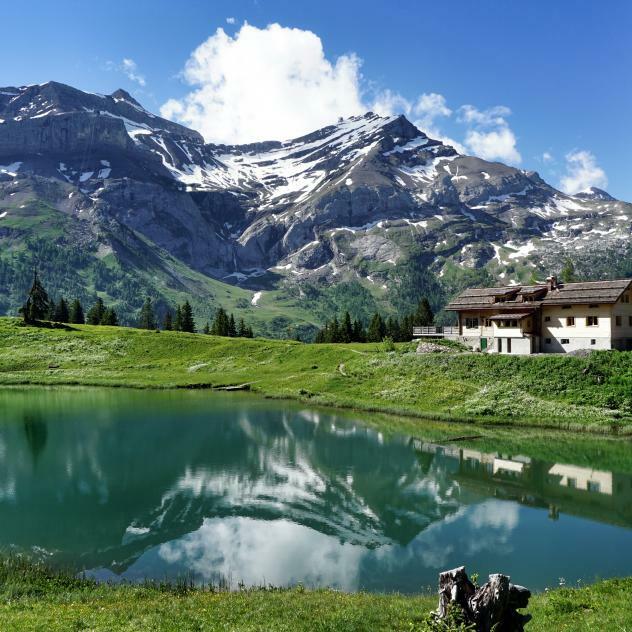 To start this trail you will have to go to the Col du Pillon either by bus or by car (the ride takes around 10 minutes from the village) Then you will follow the winter path to Lake Retaud, a charming winter lake with a beautify view on the valley below. Keep going on the same path to Isenau and cross the land called “les Moilles”. You will then arrive at Isenau. 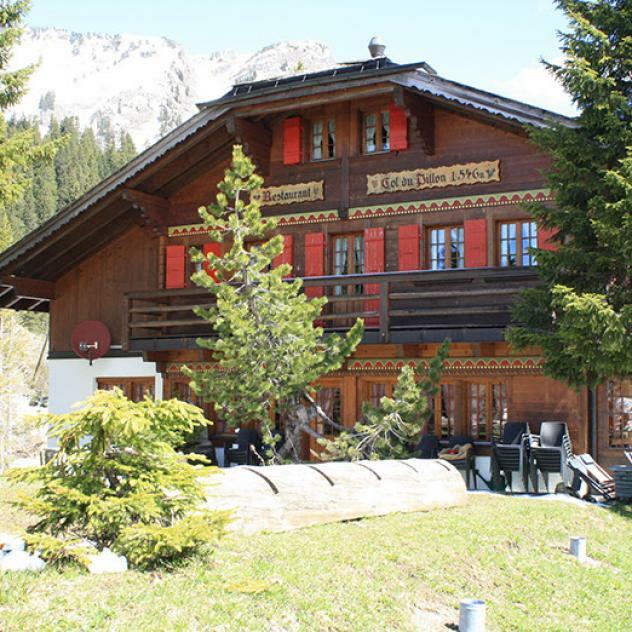 Situated at the top of the Col du Pillon near the Glacier 3000 cable car, this restaurant is a lovely stop for skiers and hikers, summer and winter. Lake Retaud nestles at an altitude of 1,685 metres directly opposite Glacier3000. This haven of peace offers walks in summer and winter as well as a restaurant with an adjoining, sunny terrace for fans of hiking, cross-country skiing and other winter sports. A little paradise in the Vaudois Alps: nestled in a basin on the south face of the Palette, Lake Retaud reflects the blue sky and dark pines in its crystal water.